While other programs focus solely on policy or solely on science, the University of the District of Columbia (UDC) blends policy with hands-on technical skills, giving you the ability to master urban issues and sustainability more comprehensively. You will learn by doing and by putting theoretical concepts to practical use. With concentrations in Urban Agriculture, Urban Sustainability, and Water Resources, the Professional Science Master’s in Water Resources Management will give you the opportunity to learn workplace skills valued by top employers in the green jobs market that is growing at a rapid pace. Our three concentrations in water resources management, urban sustainability, or urban agriculture are supported by our nationally recognized Environmental Quality Testing Laboratory, our innovative UDC Research Farm and its satellite Urban Food Hubs, and by our community-based green infrastructure and social entrepreneurship programs. 1966 legislation established two new schools: Federal City College, a liberal arts school, whose Board of Higher Education was appointed by the Mayor of the District of Columbia, and Washington Technical Institute, a vocational-technical training school, whose Board of Vocational Education was appointed by the President of the United States. Although the schools were still very new, many Washingtonians continued to advocate for a comprehensive university. After Congress granted limited home rule to the District of Columbia, the new city council authorized the consolidation of the three schools into the University of the District of Columbia in 1975. In 1977, under President Carter’s leadership, UDC began consolidating its academic programs. These efforts culminated in the establishment of five colleges of Business and Public Management; Education and Human Ecology; Liberal and Fine Arts; Life Sciences; Physical Science, Engineering and Technology; University College, and Continuing Education. UDC continues to transform itself over time to meet the changing needs of its students and the community. The University currently offers 75 undergraduate and graduate academic degree programs through the following colleges and schools. The entire District of Columbia is its campus. 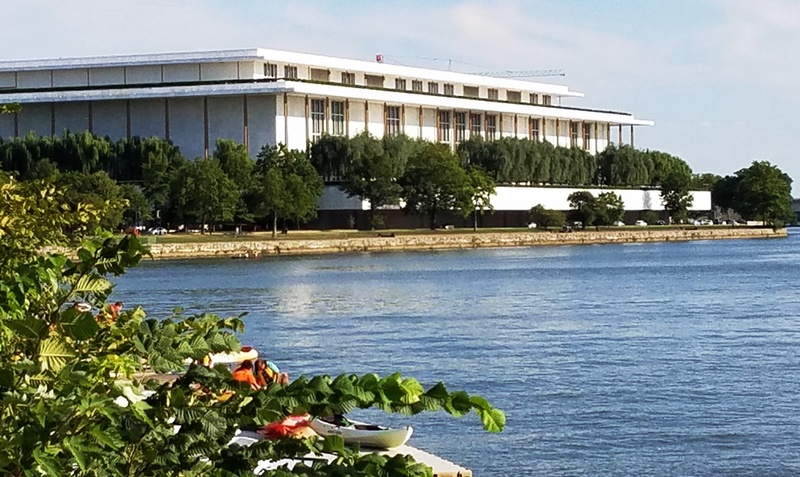 Photo of Potomac River and Kennedy Center by Storm Cunningham. See program website & photo credit.